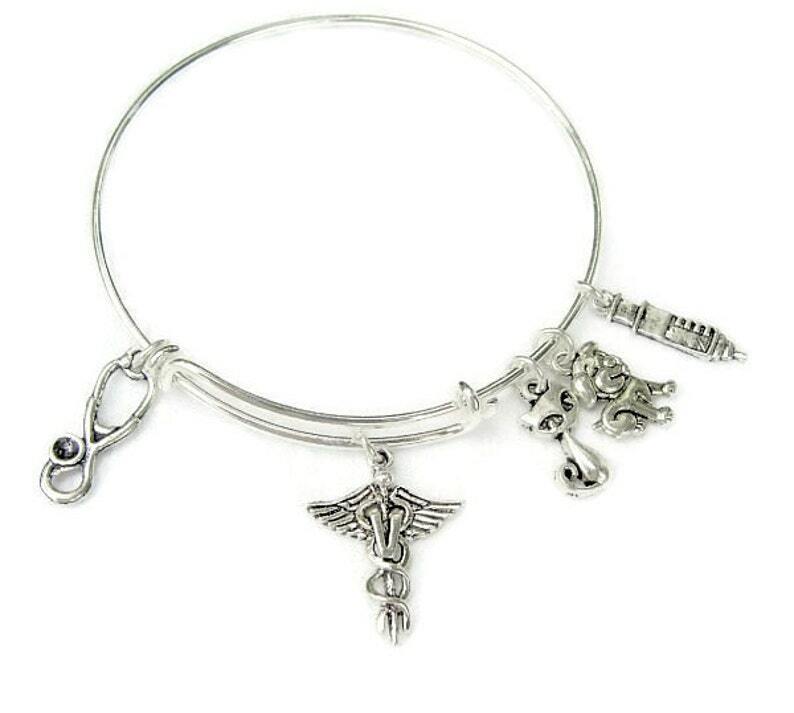 This bracelet is great for a seasoned animal doctor or a VETERINARIAN in training! Fully adjustable slide on stainless steel or sterling silver wire bangle bracelet. These bracelets are a great addition to any jewelry box! Affordably priced, these charm bracelets are trendy and modern. Just squeeze to open more and slide over hand on to wrist. Stackable. Add as many charms as you like to each bracelet! The possibilities are endless! See Endless Beaded Wrap bracelets here. 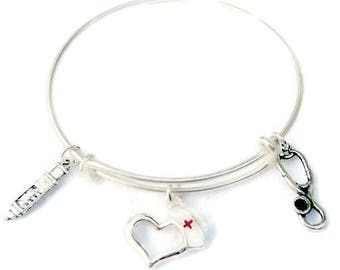 DENTAL HYGIENIST Adjustable Bangle, Charm Bracelet,Silver Plated bangle, One Size Fits Most! Gold Plated DENTAL HYGIENIST Adjustable Bangle, Charm Bracelet, One Size Fits Most!